Life imitates art, in defense tech no less than in society. In the 1982 techno-thriller film "Firefox," Clint Eastwood steals a fictional Soviet fighter jet called the "MiG-31 Firefox," a Mach 6-capable stealth fighter he piloted with his thoughts. But now in 2018, the US military has gone even further: you can control a whole group of drones or fighter jets with your thoughts. In 2015, the basic principle of flying a plane using a surgically implanted microchip was demonstrated, but continued development of the brain-computer interface (BCI) has created a two-way connection enabling the pilot to not only send commands to the craft but also to receive signals. "We've scaled it to three [aircraft], and have full sensory [signals] coming back. 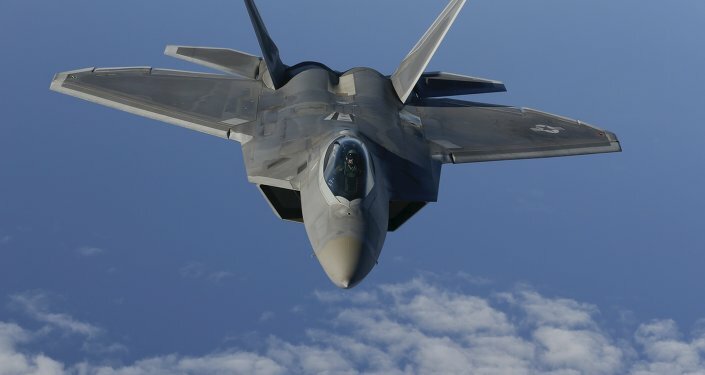 So you can have those other planes out in the environment and then be detecting something and send that signal back into the brain," he said, according to Defense One. A 2012 grant provided DARPA with $4 million to build a non-invasive "synthetic telepathy" interface that uses a skin-tight cap loaded with electroencephalogram (EEG) sensors to pick up electrical signals in the user's brain's motor centers. In April 2016, developers at the University of Florida working under DARPA's aegis held the first BCI drone race in history. 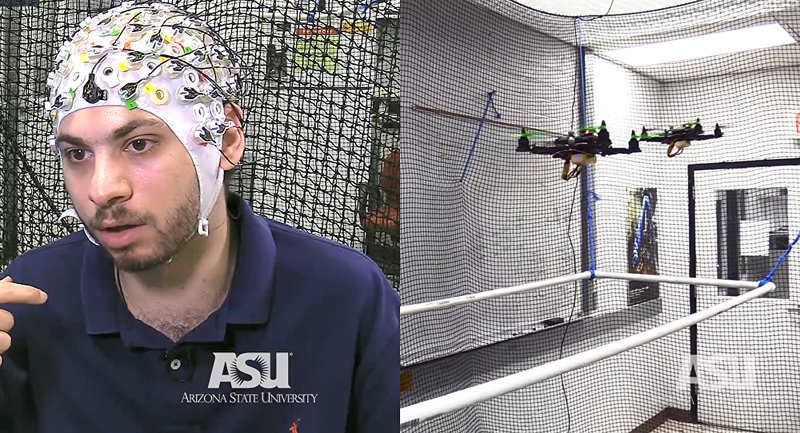 Working with colleagues at the University of Arizona, they have been pioneering the partnership between BCI piloting and the Pentagon's Gremlin drone swarm concept, The Science Explorer reported in 2016. "We started with the idea of human-swarm interaction; we record it from the brain," Panagiotis Artemiadis, director of the Human-Oriented Robotics and Control Lab at ASU said in a video produced by the university. "We actually saw that the brain really cares about collective behaviors of swarms, and now we know where to record from and what to see from the brain signals in order to decode that to collective behaviors for aerial vehicles and swarms of robots." Defense One noted that the technology could be used to drive medical breakthroughs in brain-based communication, control of prosthetic limbs, memory repair and helping paralyzed people regain control over their bodies.